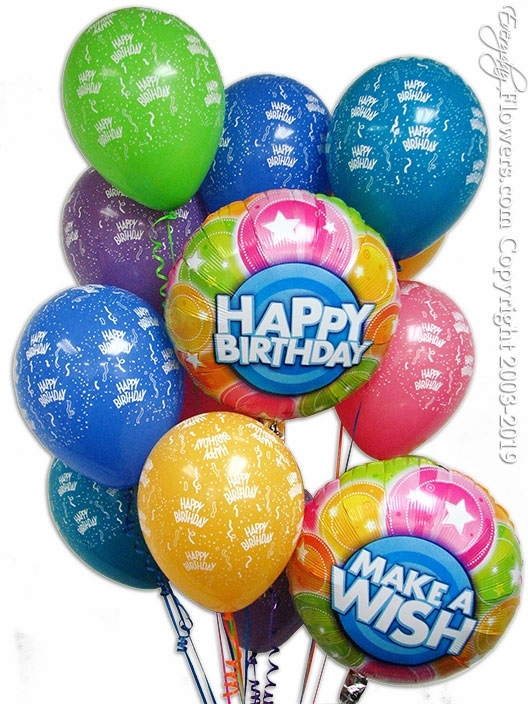 Send this balloon bouquet featuring 2 foil balloons printed with messages of happy birthday and make a wish with 12 latex balloons. The birthday foil balloons measure 18 inches wide and the latex balloons are 11 inch Qualatex latex balloons. Available for delivery in Orange County California.